Tourists returning home after a trip in Egypt will now be required to pay a $25 at Cairo International Airport, a tourism ministry official told Ahram Online. 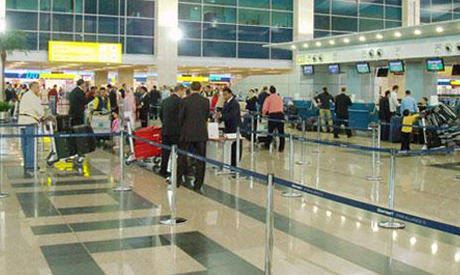 Both Egyptians and foreigners will pay $4 as they leave Cairo on domestic flights. The decision was issued by the country's aviation ministry, the source said. Accordingly, the exit fee is in payment for services provided to foreign travellers in the capital's airfield. Some tourism officials have reacted strongly to the decision. "The decision is unacceptable, particularly with an ailing tourism sector that seeks recovery," Adel Abdel-Razek, a member of Egypt's tourism chambers federation, told Ahram Online. Egypt's tourism sector, which represents 11 percent of the country’s gross domestic product, has seen several blows since the 2011 January uprising. However, Adel Zaki, an owner of a travel agency in Egypt, said he agreed with the decision. "It's time for Egypt to get an appropriate return from visitors, but I think delaying it to be implemented in October will be better," Zaki said. Visa fees for tourists coming to Egypt were increased last May to $20 – instead of $15. According to Tourism Minister Hisham Zaazou, the visa increase is slight and is not expected to affect the flow of tourists to the country as it is still amongst the cheapest worldwide. The total number of tourists visiting Egypt in the first four months of 2014 reached 2.8 million, a 2.75 percent decline from the same period last year, according to official figures. Ask yourself this question....... would you want to spend thousands of dollars on a holiday trip spent driving past rubbish tipped on major roadways, suffering a barrage of aggressive noise pollution, shouting, tooting horns and visual pollution such as advertising banners obstructing the views of historical monuments and turn-offs from one road to another? To be driven in traffic consisting of homicidal, heavy, oily exhaust fume emitting vehicles prone to stopping without indicating/signaling in the middle of the road in front of a turn off onto another road? Modern Egypt is indeed an experience of a life time, unfortunately not the one people have been saving up for the holiday/trip of a life time! I do so hope that these problems can be resolved, then it is mostly likely that people would be happy to pay any extras asked. Might it not be expedient to upgrade the standard and quality of our services, exhibits both cultural and historic and educate the local population not to mob foreign visitors who generally find close contact and in your face tactics from desperate vendors to sell cheap novelties (not made in Egypt) very scary. Having achieved this, there is definitely merit in the notion increased charges. It is very difficult for a visitor who is feeling coerced or extorted to feel happy about parting with yet more money. What happened to smiling, Egyptian hospitality when even an offered/shared cup tea felt like a rare and exquisite experience? What happened to the charmingly naive hand crafted, reasonably priced souvenirs or the sophisticated and more expensive locally made objets d'art to be taken home and cherished or to be given as gifts to friends and loved ones? Mass produced trinkets, manufactured cheaply abroad, could have come from anywhere just doesn't fit visitors'idea of Egypt! While Egyptian government never tries to cut their high salaries paid to govenment officials, they are just trying to collet money fo tourists in the name of Egyptian tourism importnace. Nothing has changed in this country's government. I often travel to Cairo but this new cost will definitely effect many travelling to this beautiful country. World wide cost keep rising and many will be forced to stay in their own country. I visited Egypt in May (Cairo) and I paid for visa 25 $ not 20 $??? Why is that? Was i cheated ? The visa fee is 20 or 25$? Venezuela and other countries have used this "depature tax" and it causes confusion, currency problems, and many tourists go home broke (a good thing for Egypt). The same amount can be raised by issuing 6 month, multiple entry visas at a cost of US$50. Most will still stay for less than 6 months, but some may take advantage of the visa to book a second beach holiday or to return to Egypt at the end of an international tour.The visa becomes a sales tool while the departure tax angers toursts. Another method would be to add the $25 to the ticket price. Tourists hate to be nickled and dimed to death.